5 Speech and Language Activities in the Car! Some fun ideas for those long road trips! 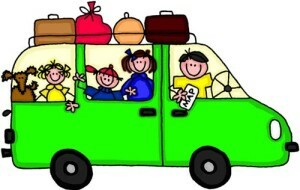 Road trips can be fun and exciting for the whole family, at least once you finally arrive where you want to be. Riding in the car for hours – especially in the backseat – can be extremely boring and depending on the car it might be a little uncomfortable. If your family is into long road trips, the best thing you can do is look for cash car lots near me and buy a vehicle that best suits road trips. After everyone’s comfortable another way to make time go by quicker is to add some games to it! Categories: Think of a category and have your child find 3 items that belong to that category. For example, types of fast food restaurants, something red, or something circular are all easy to find outside. Switch roles and have your child think of the category. WHY: This game promotes organization skills by encouraging your child to group vocabulary together. 20 questions: Have your child choose a person, place, or thing in their mind. As their partner, ask questions involving salient features to identify what they are thinking of: what does it look like (shape, color, size), where can I find it, what is it used for, what category does it belong to? The idea is to figure out the mystery in 20 questions or less. WHY:This is a great activity to boost vocabulary and encourage your child to identify the salient features of common nouns. The Alphabet Game: Starting with “a” and keeping in sequential order, look for items outside that begin with the letters of the alphabet. This can be played as or team or against one another. The first one to get all the way to “z” is the winner! WHY:The alphabet game is an easy word retrieval game with the context right in front of your child. WHY: Improves organization of expressive language. WHY: Frequent practice will help your child improve his/her articulation!